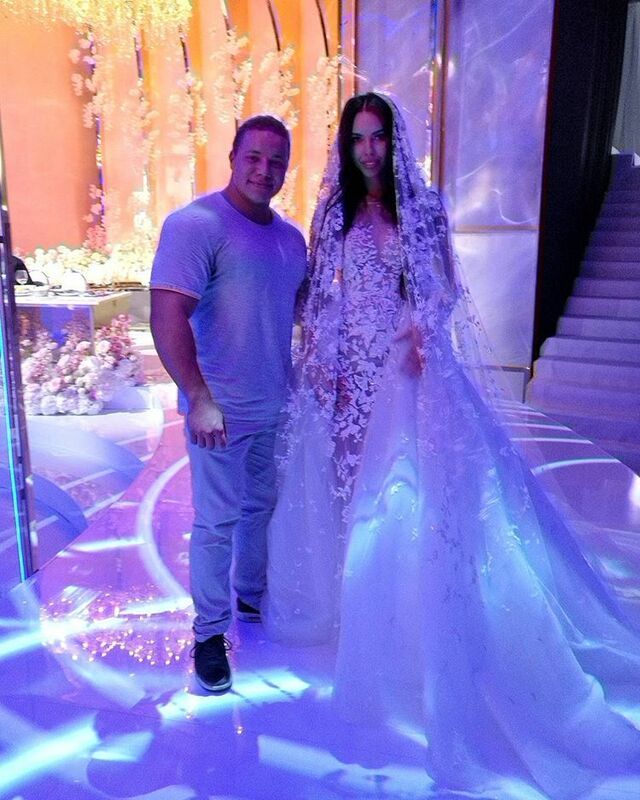 The model decided to repeat celebration with the Samara oligarch Alexei Shapovalov. 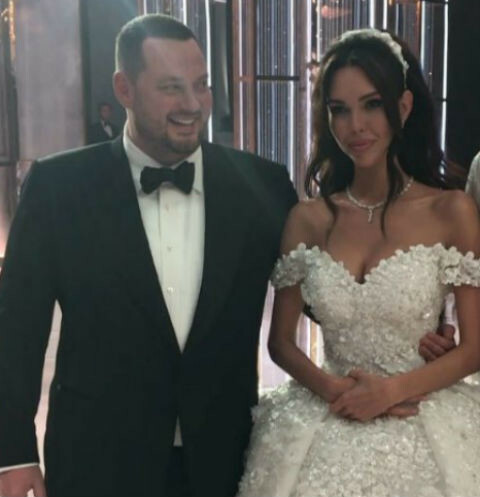 The wedding of the model Ksenia Tsaritsyna and the Samara oligarch Alexei Shapovalov became one of the most high-profile events of last summer. The event, which costed about 20 million rubles, was held in the concert hall of Barvikha Luxury Village. There were more than 400 guests, special decorations from glass, plastic and Swarovski crystals were made, eminent artists (Leningrad and Polina Gagarina) performed, as well as an endless number of dancers and circus acrobats. 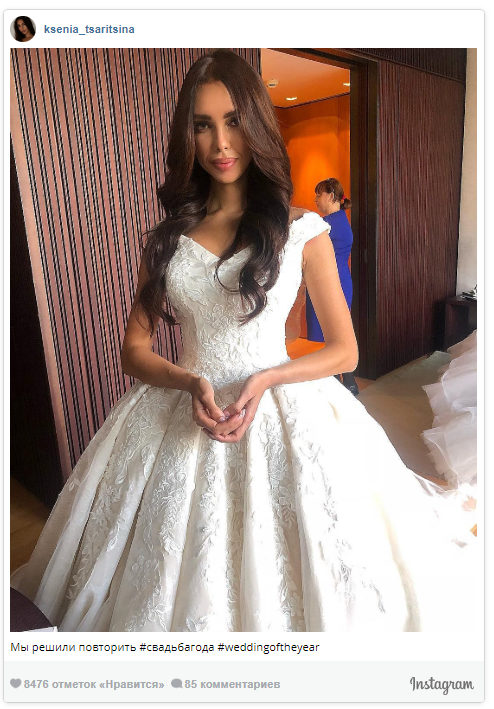 Well, the bride changed three wedding dresses from Zuhair Murad, Jacy Couture and Elite Saab worth more than 5 million rubles. The ceremony made an indelible impression not only on the guests of the evening, but also on Russian and foreign journalists. - It was a dream wedding. No more, no less. The ideal man, the perfect dress, the ideal organization. Everything went better than I imagined even in the wildest fantasies. And, of course, like any girl, I absolutely do not want this fairy tale to end, - Tsaritsyna admitted. A year after the celebration, the wife of the Samara tycoon decided to celebrate the wedding again. They say that the couple decided not to change the main outline of the ceremony, once again stopping at the same hall and the same music performers, but at the same time making more interactive elements. - We really liked the Barvikha hall, in addition, my husband is very fond of Sergey Shnurov and his group. So in this regard, we will not change anything. But we must add to the performance a laser show, dancing, animation, so that everything would shine like a superstar's concert, "the bride confesses. "And of course, I will not deny myself the pleasure, and we will sew new wedding dresses, one of which will be a delicate, lacy, quite classic wedding dress, and the second outfit will be more unusual, mainly because it will glow in the dark.